Last week, after a year of waiting, I finally met my best friend. Me and Katie have been friends for just over a year since we were partnered up as pen pals through a Facebook support group for young people with health problems and conditions. We both have very similar conditions and share a lot of the same symptoms, medications and worries. We wrote letters back and forth for a while but eventually just shared our numbers and talked a lot online, we live on opposite sides of London so meeting up isn't easy (especially when you are both chronically ill!). 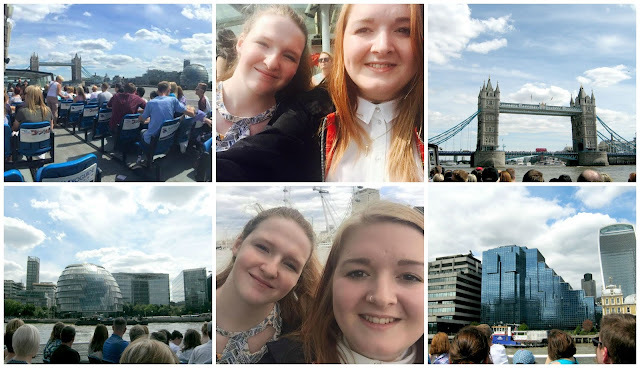 Finally though we planned what we thought would be the best day in London and I don't mean to brag but we truly did succeed in doing just that. We met up at St Pancras and first on our list was to exchange birthday presents, for Katie it was a late birthday present and for me it was an early one as my 18th isn't for another 2 weeks. I just want to quickly say a huge thank you to Katie as she truly spoiled me and put so much thought in my gifts, she's a little gem. The first proper 'activity' that we had planned was to visit the Natural History Museum and the Science Museum. We are both massive nerds and it was a given that we would be heading to them both. When we got to the NH Museum it was SO busy, I had never seen it so busy and the queue to get in was huge. Luckily the staff were amazing and let us straight in as we are both disabled and would have struggled to stand in that queue. 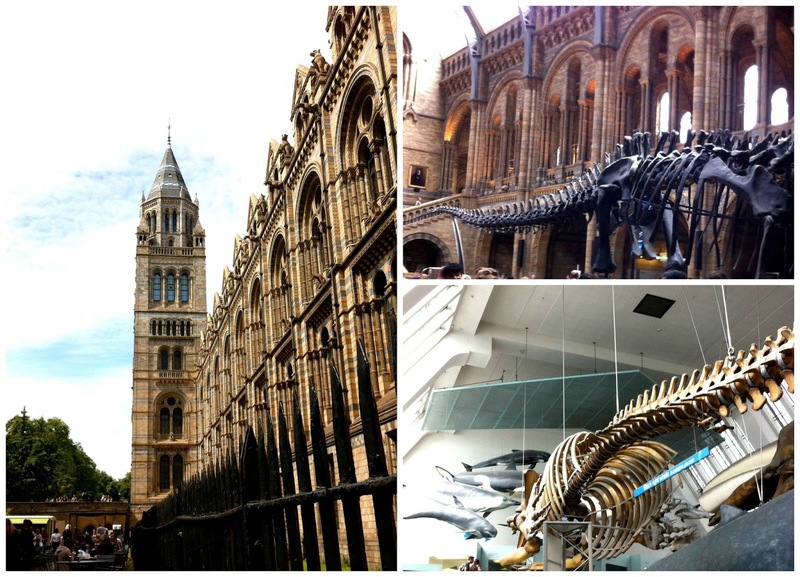 Once we were inside we quickly found that it was absolutely packed, there was barely room to breathe let alone move so we made the easy decision of heading to just a few favourite exhibits before getting out of there as soon as possible. We also decided to skip the Science Museum this time round as we assumed it was would be just as busy, I'm certain we were right. Also we were super hungry so went on what would be the longest hunt for lunch ever. We headed towards the River and assumed that there would be tons of places to grab a bite to eat, oh how we were wrong. We walked and walked and walked to find just a sandwich, everywhere was closed or way too fancy. You should have seen our faces when we finally found somewhere to eat, you'd think we had just won the lottery! After re-fuelling it was time for 'activity' number 2 which involved walking back towards the River Bank. 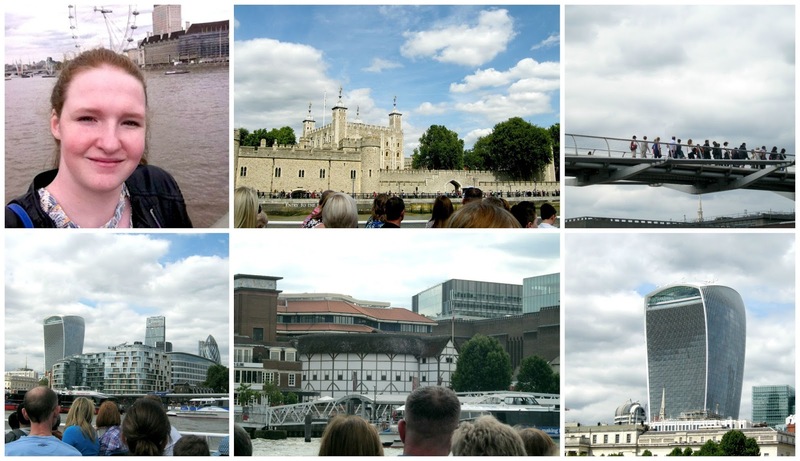 Originally we had the idea of using the Hop on Hop off tour buses to see a few sites but then I had the idea of going on one of the boat tours along the Thames! 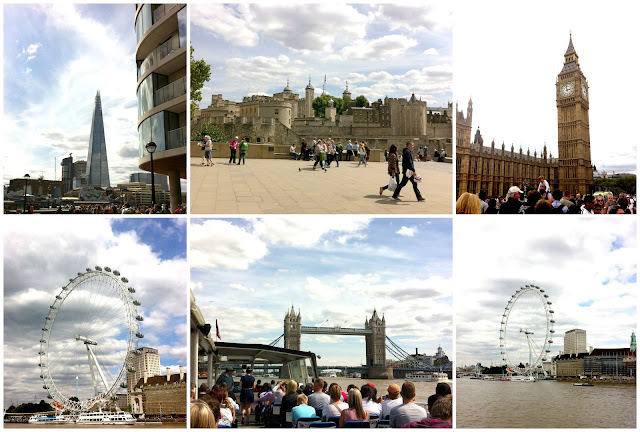 It was one of the best parts of the day, the tour guide was funny and relaxed and we went past some amazing sites. The pier for the boat was right by The Tower of London which I had never seen in person before then so I really enjoyed seeing that as it's been the set for some of my favourite TV shows in the past. The tour guide (who wasn't really a professional tour guide, he was better) pointed out a lot of buildings that I didn't even know existed and it was nice having a bit of explanation behind things. We went past both The Shard and the most beautiful building that like The Shard has a sky garden. The guide was quick to point out though that this Sky Garden building was actually free to go up whereas The Shard will take as much money as they can. All you have to do is book a day and time online, get your ticket and you are good to go. I'm definitely adding that to my list of things to do in London, head to the Sky Garden website for more info, it's too good to miss out on! Something that completely surprised me is that we went straight past The Globe Theatre, another building that I had never seen in person before. I had no idea that such a historical building was literally just sitting on the side of The Thames next to all these modern buildings, next time I'll definitely have to take a trip there on foot to see it closer up in all its glory. We also went under the famous 'Harry Potter' bridge which excited me way too much. Our trip was about 30 minutes long and we hopped off at the London Eye pier and took a short walk past Big Ben to our final 'activity' of the day. 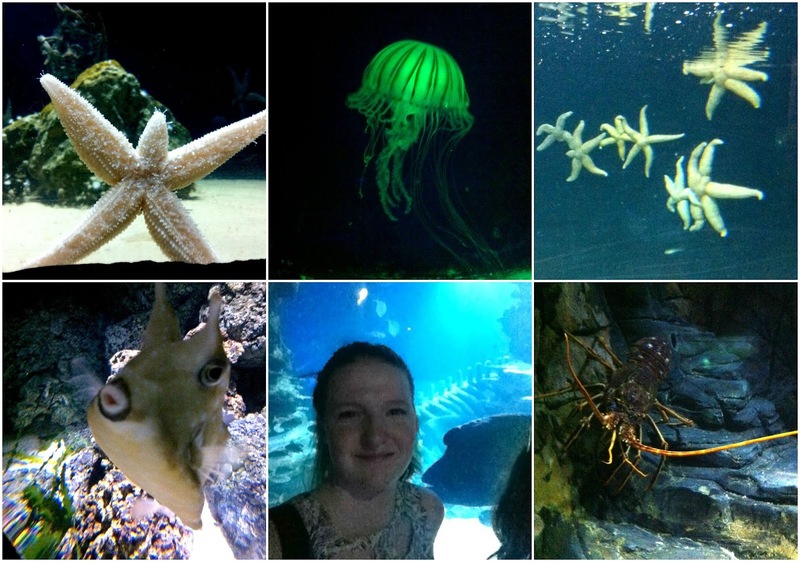 We finished our day off by heading to the Sea Life Aquarium, we both really love Aquariums and once we saw that the tickets weren't that overpriced and we could skip the queue with priority tickets we knew we had to go. It truly was worth every penny, we both found that it really relaxed us and our pain levels went down a lot. 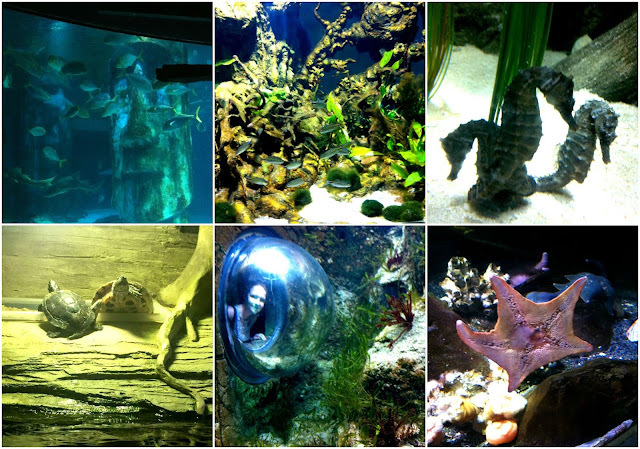 We saw everything from Seahorses to Sharks and I even touched a Starfish (yes I was the only young adult there next to all the little kids but who cares!). We saw some massive turtles as well which was just amazing, they are so graceful and I think I'd go back there if only to see them again. I didn't manage to get many great pictures though because there was just so much to see, I couldn't stand still for long enough to focus on getting a few good photos! We had a fab time though which is always the most important thing. I've never really had a tourist sort of day in London so it was a really nice experience to share with Katie and I can't wait to do it again, a trip to Madame Tussauds is next on our list I think. 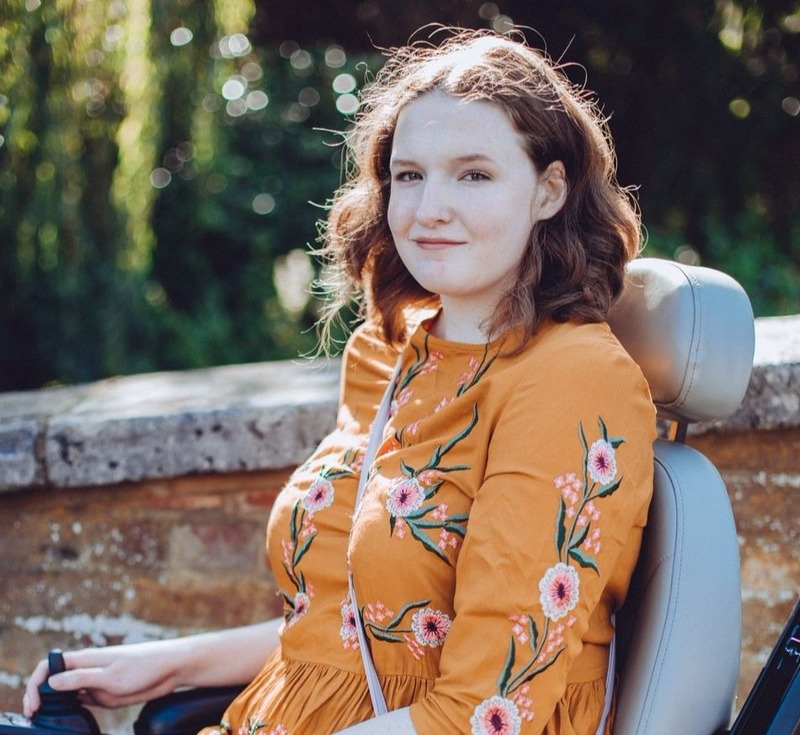 Katie is a blogger as well so I would really love it if you went over and checked out her blog EDS; Life Through My Eyes. She's a really good writer and her story is inspirational, go and give her some love! Congratulations if you've managed to make it through the whole post, I think this huge post definitely makes up for my lack of blogging!